I’m in a long-term study on Alzheimer’s disease that is attempting to unlock the door to what exactly causes the disease and how to prevent it. Every two years the researchers hold meetings in various locations to provide research participants an update on what they’re learning. In the meeting I recently attended, I was excited to learn about a new classification system for the disease. I immediately liked it because it seems simple. It’s called ATN, and the basis for it is biomarkers rather than cognition. 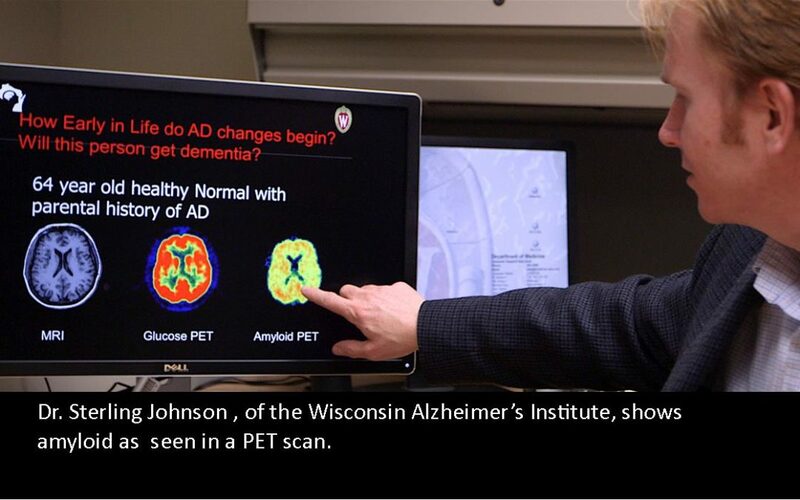 The study I’m in has been very focused on identifying the biomarkers of Alzheimer’s disease. I’ve been hearing about plaques and tangles (the key culprits that are the hallmarks of the disease in the brain) for a long time, but have often found they are not easy to understand or talk about. Alzheimer’s disease is an abnormal process occurring in the brain, signified by the presence of Amyloid (A) and Tau (T). Amyloid (A) is the build-up of deposits (plaques). With the disease, the brain has excess toxic amyloid deposits. When amyloid is not cleared from brain (it is cleared in healthy brains), it builds up. Tau (T) is a protein that causes “neurofibrillary tangles” or twisted fibers inside the brain’s cells. A and T produce inflammation in the brain; inflammation is bad. Inflammation may also contribute to A. All of this leads to Neurodegeneration (N) – nerve cell death. The result of approaching the disease in this way is that a person with biomarker evidence of both A and T as described above, would be classified as having Alzheimer’s disease. What I didn’t understand very well in the session but understand now is that the new construct above is for research purposes. It’s not for clinicians who are treating people with the disease. See this story on NPR’s Morning Edition that spells all this out. Because I am more likely to get the disease due to family history (my mother died from complications caused by the disease) this language is striking! These failures mean that there is not a way to delay the onset or prevent the debilitating symptoms of the disease with a drug. There has been no progress on this front since my mother died from it 9.5 years ago! If research needs a new way to classify the disease to make progress, then I am for it! But the Morning Edition story states, “The new approach has detractors, who argue that it’s not yet a reliable replacement for clinical symptoms in research” or in a physician’s office. If this new system makes things confusing for geriatricians and neurologists who treat the disease and their patients because the construct doesn’t fit in the clinic, then I’m left wondering. The disease is already hard enough to understand and explain to families impacted, and to those who don’t have any ties with it. Yet, because researchers at the top of the field support this change, and I believe strongly that research ultimately is the only way to beat this disease, then I must land on giving this new classification system a chance.